Researcher Jeffrey Oxnard, MD, answers a reporter’s questions about an abstract on the feasibility of using blood samples to detect lung cancer. 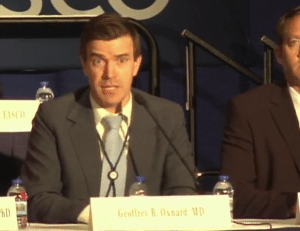 You won’t find a better example of why you need to be wary than an exchange between a reporter and a researcher at a news conference at the American Society of Clinical Oncology’s annual meeting over the weekend. The headline even referred to a “blood test” for lung cancer. But when asked some pointed questions that any consumer might wonder about, researcher Geoff Oxnard, MD, of the Dana-Farber Cancer Institute was compelled to explain that this test isn’t a reality. Alice Goodman, a reporter for the ASCO Post, asked Oxnard how blood analysis stacked up to a low-dose CT scan, the current screening method, in detecting lung cancers. Goodman then asked how Oxnard envisioned the “blood test” being used. The journalist asked if the words “simple blood test” used in the news release were misleading. The exchange captures just how difficult it is to separate fact from conjecture when it comes to highly anticipated technologies like blood tests to detect cancer, sometimes called liquid biopsies. In this case the research is being sponsored by Grail Inc., a startup backed by Microsoft Corp. co-founder Bill Gates and a venture fund of Amazon.com Inc. founder Jeff Bezos. The company’s narrative that a blood test will be capable of detecting early-stage cancers with ease neatly aligns with ASCO’s recent concerns about low uptake of lung-cancer screening. 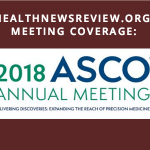 Highlighting that early and unpublished research at ASCO’s major conference gave Grail and its researchers a surge of news coverage. Yet some experts say based on the company’s latest data, an actual screening test appears to be years off, if it arrives at all. Those rates ranged from 38% to 51% for stage I-IIIA cancers, but the news release didn’t break out data for stage I cancers, which is the early stage at which you’d expect to find cancers via low-dose CT screening — the current standard. Other omissions make it difficult to tell how well a blood test might work in the real world, he said. For example, it’s unclear whether there was an appropriate control group of heavy smokers that would indicate how accurately the markers classify those without lung cancer, and whether patients in the study were asymptomatic, as would be those subject to a screening. Hoffman has written previously about the hurdles of developing and implementing a cancer screening test based on blood. Predictably, some news outlets reported on Grail’s research uncritically, downplaying the many caveats. “The coverage is typical; overly optimistic early in the reports and then some provisos later in the story,” said HealthNewsReview.org contributor Harold DeMonaco, who’s also written about the massive challenges involved with Grail’s goal of creating a blood test for cancer. DeMonaco, via email, took issue with the heavy use of positive quotes from researchers. 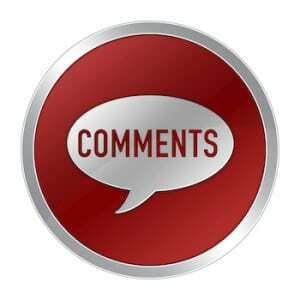 That story misled readers with a grandiose headline, failed to mention significant limitations and harms, and neglected the potential cost, according to a HealthNewsReview.org review. That Guardian’s “holy grail” reporting made its way onto some local TV news stations. Coverage from some news outlets “did a good job in consistently indicating that these tests were a long way from being used in clinical practice,” Hoffman said. 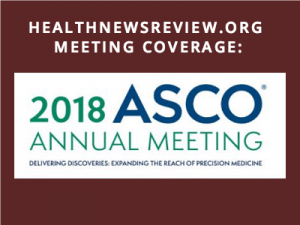 STAT quoted several independent experts including one who wondered if looking for changes in blood markers would catch cancers early enough for effective treatment and pointed out that the “true measure” of a test would be whether it led to higher cure rates. 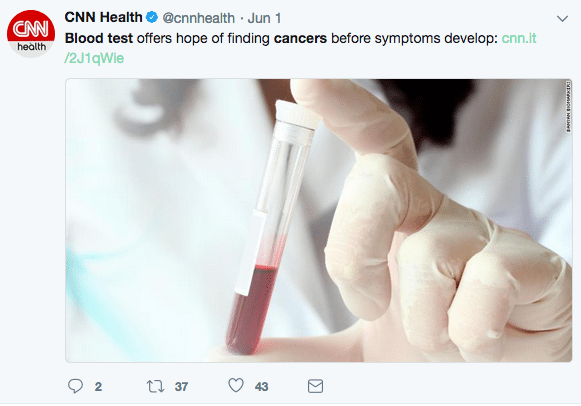 Ideally, a blood test would not flag those cancers, since a diagnosis would send patients for more testing and, in many cases, risky treatment for no purpose. Research to determine that lies well in the future. Also commendable was Forbes’ Biotech Firm Grail Takes The First Steps In Its Quest For A Blood Test For Cancer, which Hoffman said “gets credit for explaining the population impact of false alarms” — results indicating a potential cancer that isn’t there. In screening, it’s critical for a test to correctly identify people who don’t have cancer, known as specificity. Even a seemingly high rate of specificity can generate a lot false alarms. If an eventual Grail blood test for lung cancer found 90% of lung cancers and had a specificity of 99.5%, it would still warn ten times as many healthy people as those who actually have the disease if given to everyone. That’s because only 60 people per 100,000 patients develop lung cancer. So this test would identify 54 people with cancer, and tell 500 healthy people they have cancer when they don’t. That got to the heart of what many see as the problem with screening. 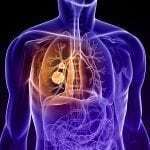 HealthDay’s Could a Blood Test Spot Lung Cancer Early? and Reuters’ Grail blood test shows promise in early detection of lung cancer had relatively balanced tones but with less sourcing and detail than STAT and Forbes. The impact of all this on consumers isn’t totally clear. 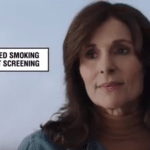 DeMonaco suggested the hype might contribute to the public’s poor understanding of the value of cancer screening tests, including a lack of understanding of potential harms. “Overly optimistic reporting reduces that ability of the public to make informed decisions,” he said. Hoffman was less concerned, although his comments suggest a mistrust of hopeful speculation.